June 29, 2016 - Will the Brexit Affect American Retirees? 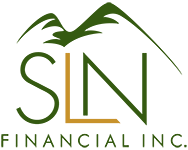 | SLN Financial, Inc.
June 29, 2016 - Will the Brexit Affect American Retirees? If you’ve been watching the news, you probably know that Britain voted to exit the European Union (EU) on June 23rd after being a member of the European community since 1973. The shocking news caused financial markets to whipsaw, and people around the world to ask: What’s next? No one knows what happens next because the Brexit is unprecedented. Since the referendum wasn’t binding, there’s no clear timeline for when or if the Brexit will happen or what its long-term economic effects will be. When market shocks occur, it’s natural to worry about your own financial future. Though we can’t predict the future, we can make some educated guesses about how American retirees may be affected by the Brexit. 1. Retirement savings invested in stocks will be volatile in the short and medium term. Market pullbacks are a normal part of stock investing and retirees should be prepared for increased volatility in the weeks and months to come. 2. Fixed income investments like bonds and Treasury securities are rallying because they are often viewed as safe haven investments during times of uncertainty. The price increases eat away at the income-producing ability of bonds, which have already been low in recent years. 3. Interest rates are likely to stay low in the near future. The Brexit makes it unlikely that the Federal Reserve will raise interest rates until late this year or possibly next year. Lower interest rates make it cheaper to finance housing and other major purchases, which could give our economy a boost. 4. On the other hand, the U.S. dollar is gaining strength against the currencies of our major trading partners; a strong dollar eats away at demand for U.S. exports and could damage corporate profits of firms that depend on foreign revenue. Market shocks happen with some frequency, and knowing how to manage your own emotions and expectations is critical. As professionals, we help our clients build financial strategies that are designed for a variety of market conditions. One of the benefits of including insurance products like annuities in your retirement strategies is that they can help manage the effects of volatility on your retirement income. Annuities have drawbacks to consider such as a lack of liquidity, fees and a potentially smaller inheritance for your heirs. However, they are worth considering if you are worried about how market events could affect your retirement. If you have questions about the Brexit and your retirement strategies or want to know more about staying focused during volatile markets, please give us a call.